With the new Sense Hat, you no longer need extra parts, all sensors are included! 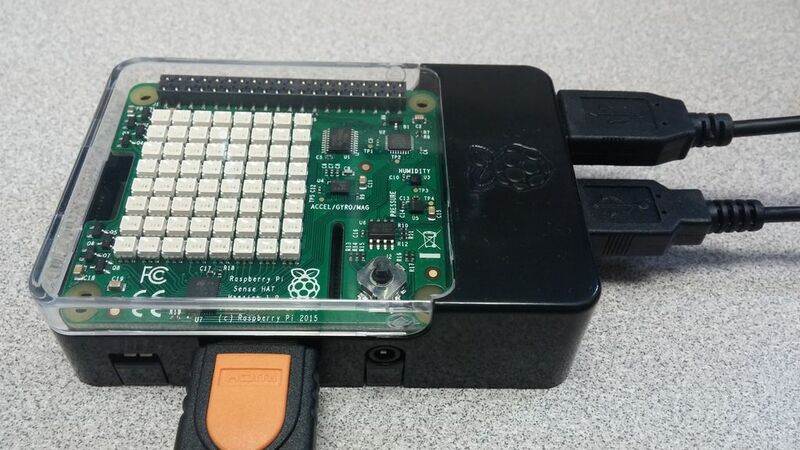 Simply attach the Sense Hat atop your Raspberry Pi 3 and you are all set! 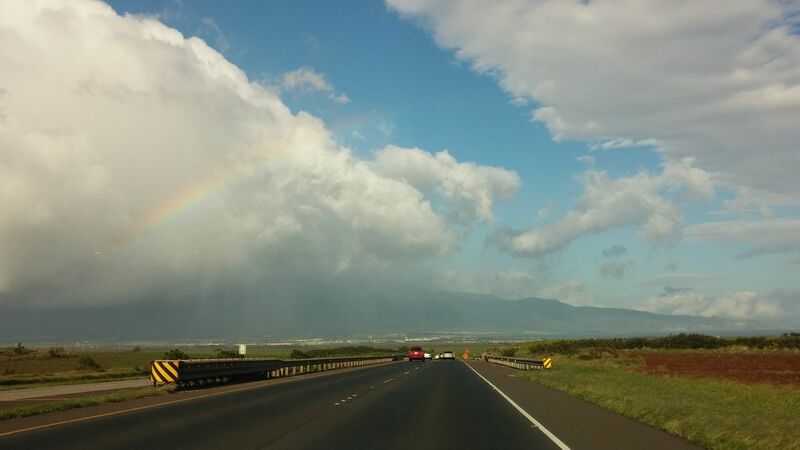 Follow along with this simple tutorial and discover the weather around you. 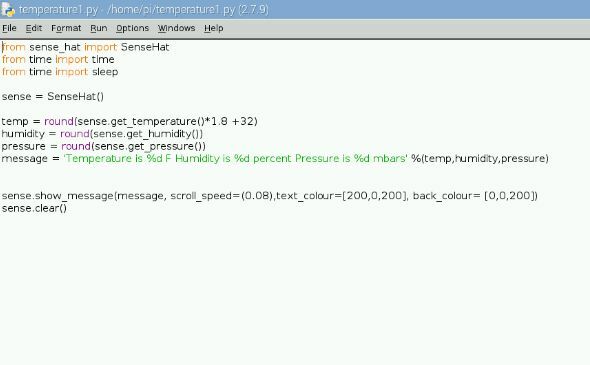 We will be using the Temperature, Humidity and Pressure sensors for this project. Sense Hat case New! See-through enclosure protects your LED screen without obstructing visibility. 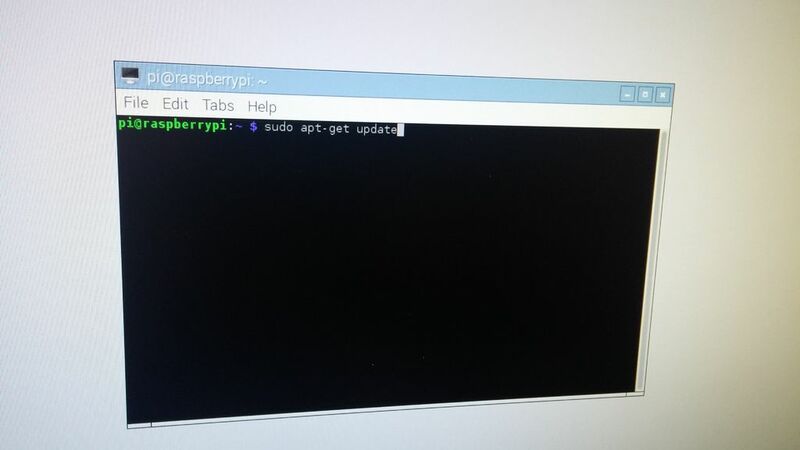 1) Type this command and press enter. 2) Type this command and press enter. 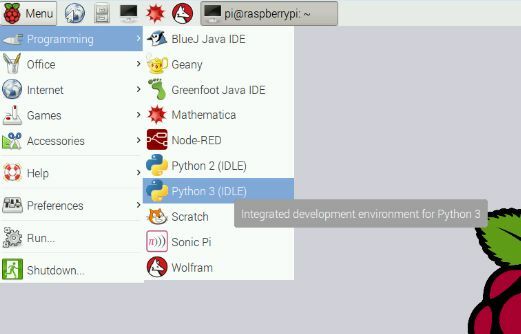 2) Navigate to Programming >> Python-3 (IDLE). You have now opened the Python Shell. Pi was created in England, so the temperature output is in Celsius. The conversion to Fahrenheit is included below. 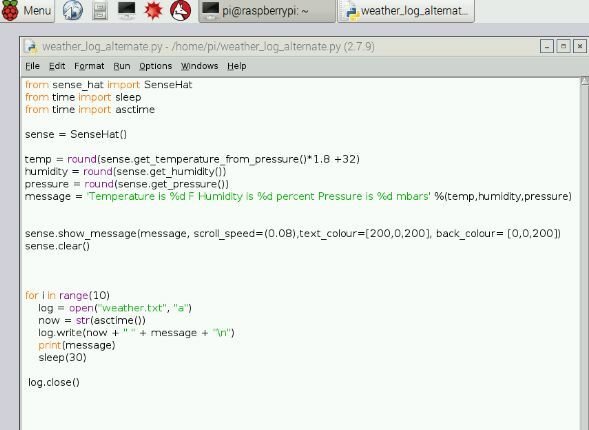 Step 6: Display weather on Sense Hat! The show_message() command displays your message like a banner across the LED screen. Scroll_speed allows you to control how fast the message rolls across. I've set the text_colour to pink and the back_colour to blue. Find your favorite contrast and change your colors. To run your program, press F5. Great! You created a weather banner! 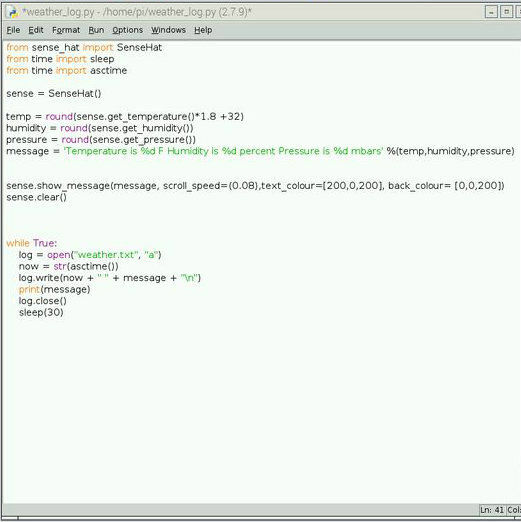 Now you can amend your program to save your weather data in a text file. The second argument indicates how the file is to be opened "a"= append and "w" will write over anything that was was already in the file. Asctime() outputs a time-stamp in an easy to read form. Waits 30 seconds before continuing with the loop. You can adjust this time however you like. 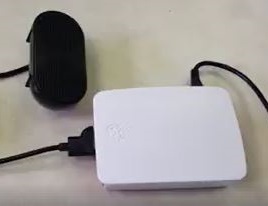 If you have a portable battery pack you can take samples of weather in different rooms, the basement, garage, inside your car, and outside! To run your program press F5 while the cursor is in your program file. Your program will continue to run without end unless you kill it in the Shell by typing Ctrl + C.
Open the weather.txt file and it should look something like this. With the current setting, each time you run the program the new data will be appended after the last line. As a note, the message will display completely before the weather is logged to the text file. 3) Click Comment Out Region.